A quick update from Beth and Cazzie! 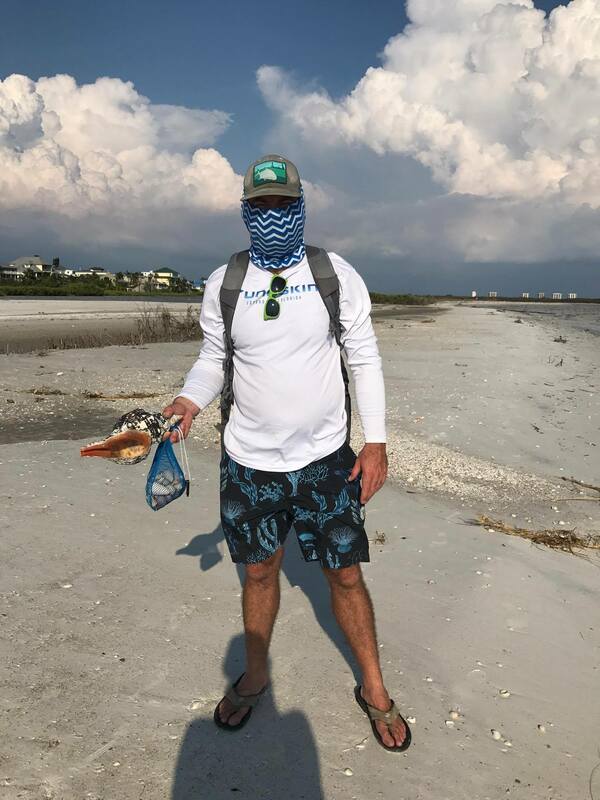 They are safe and sound on Fort Myers Beach as well as most of the their island. They took a break from the hard work of clean up during Hurricane Irma recovery so they decided to walk the beach. 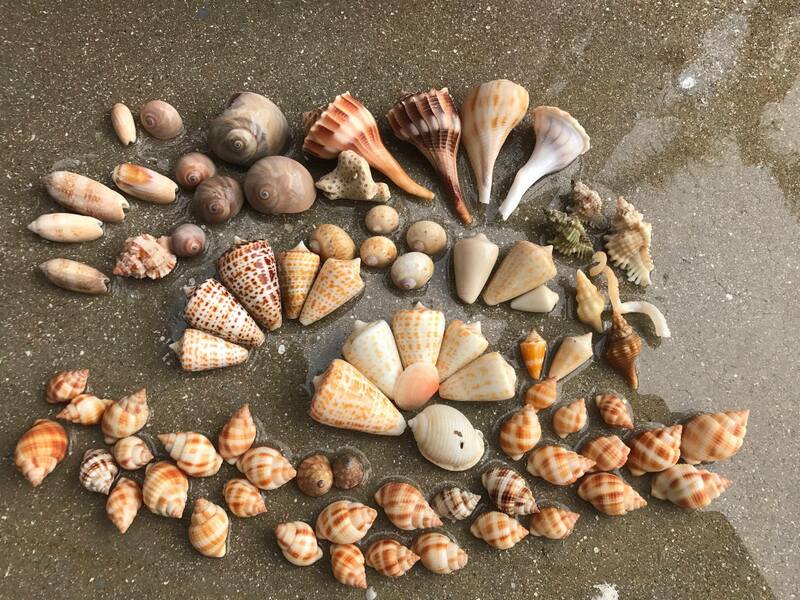 They found awesome seashells on their beach! Shellzam! 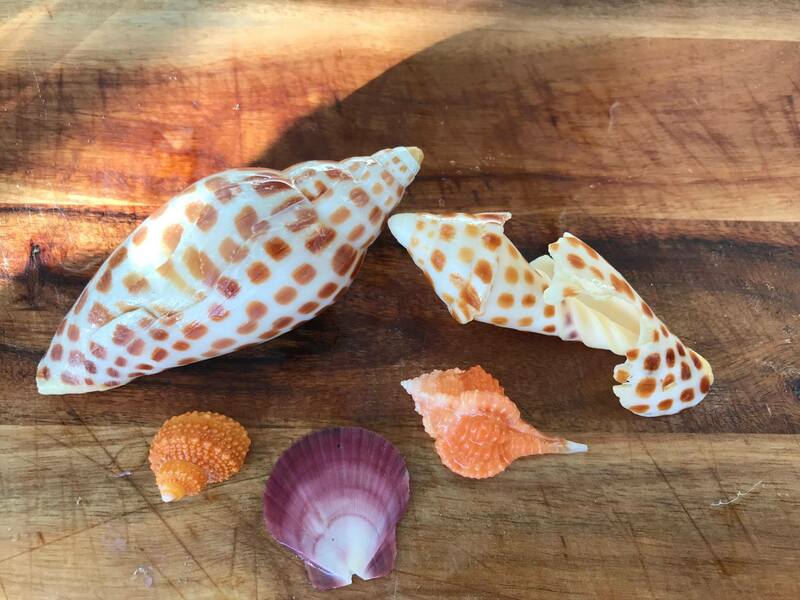 Not just ALPHABET CONES, NUTMEGS, MUREX and SCOTCH BONNET but a JUNONIA and ROSE MUREX! 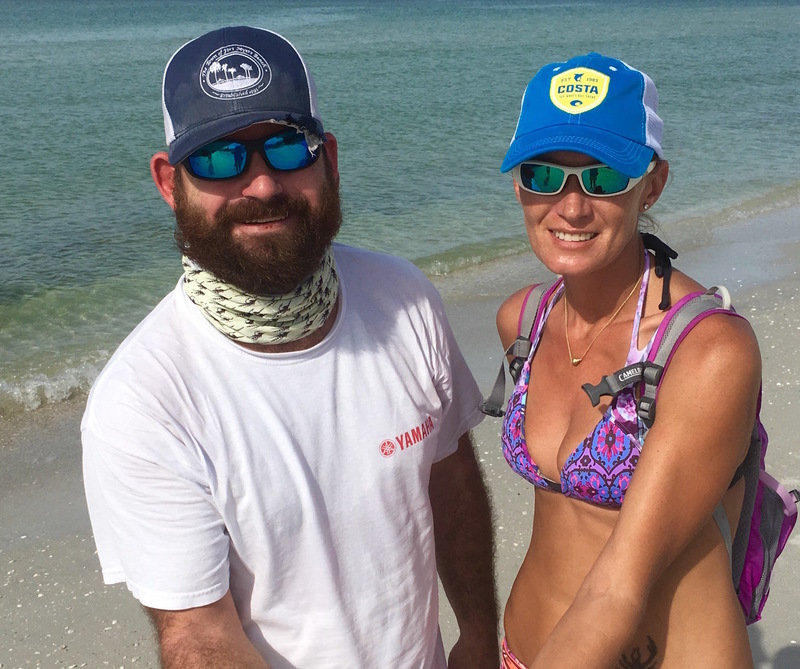 So happy yall are safe and you found time to do what you love… beachcombing! So very jealous. Happy you are okay, but man that loot is making me green with envy! Enjoy! Awesome! Can’t wait to visit Sanibel! It may become my new favorite beach! So glad everyone is safe and sound. We were supposed to be down from September 9-16 but that didn’t happen. 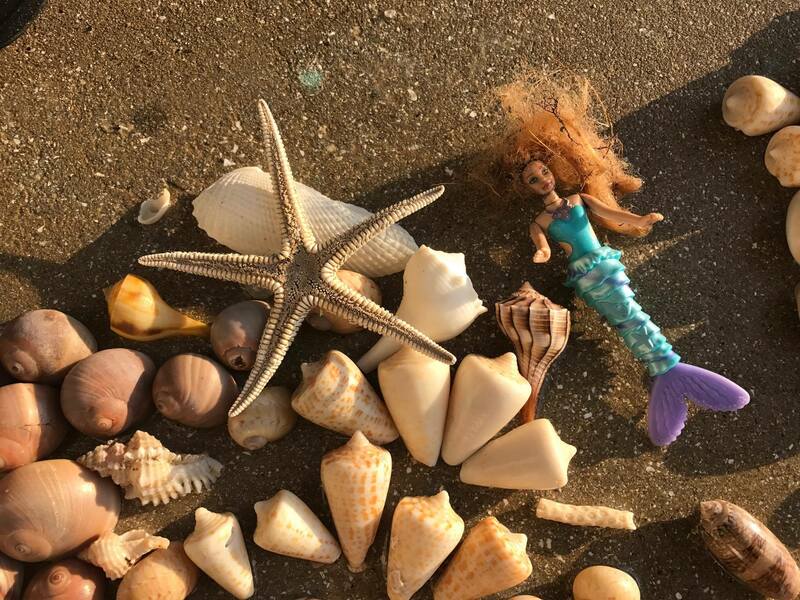 I feel like a mermaid out of the water and am trying to think of any way to get down there before the end of the year when my grandbaby arrives. In the meantime, your pictures will be have to be enough. Thank you for sharing. Love your web site. 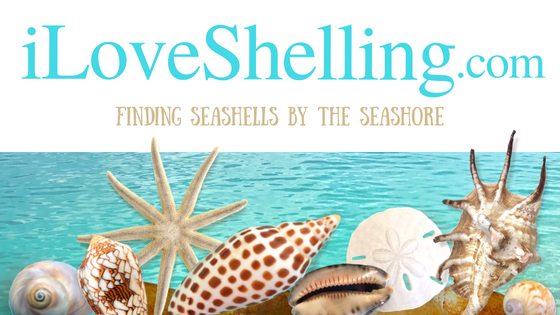 So much helpful shelling information! 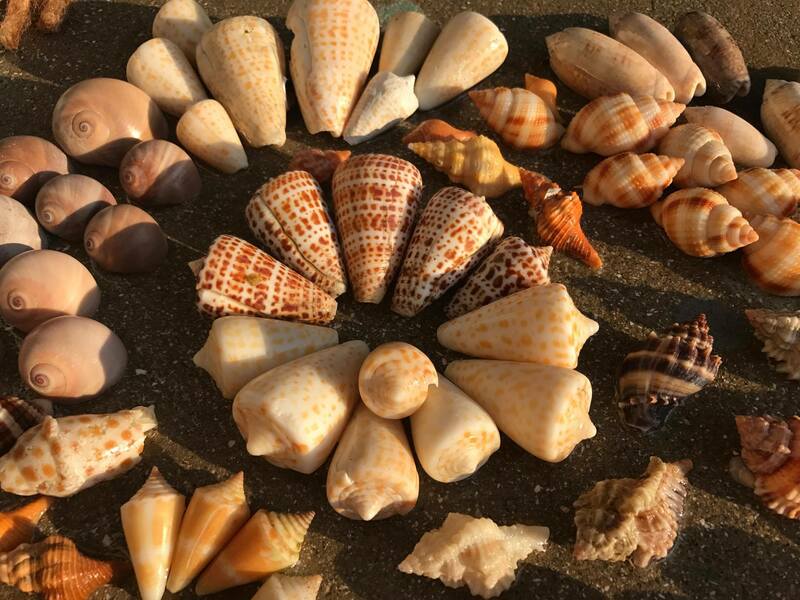 We are in Sanibel this week and have found many great shells. Now, we’re starting to focus on the smaller ones.